To register as a new user, you have two choices. 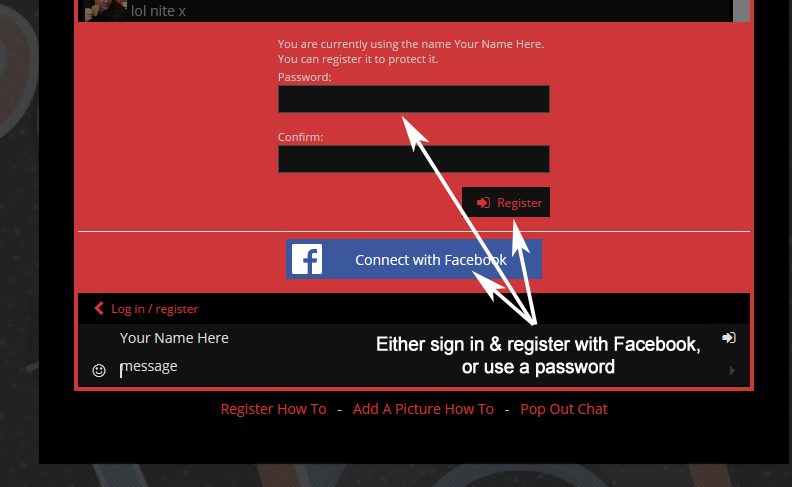 Click the ‘Register/Login’ link which is to the right of where you just entered your name. On this screen you will see the option to Connect With Facebook, click this. Click the ‘Register/Login’ button, to the right of where you entered your name. Enter in a password, to protect your name so it can’t be used by anyone else.